In the frigid winter of 1999, I visited Nuremberg for the first time. From my first walk down the Koenigstrasse, I was smitten. That first trip was the beginning of my love affair with this historical city – a love affair that continues to this day. 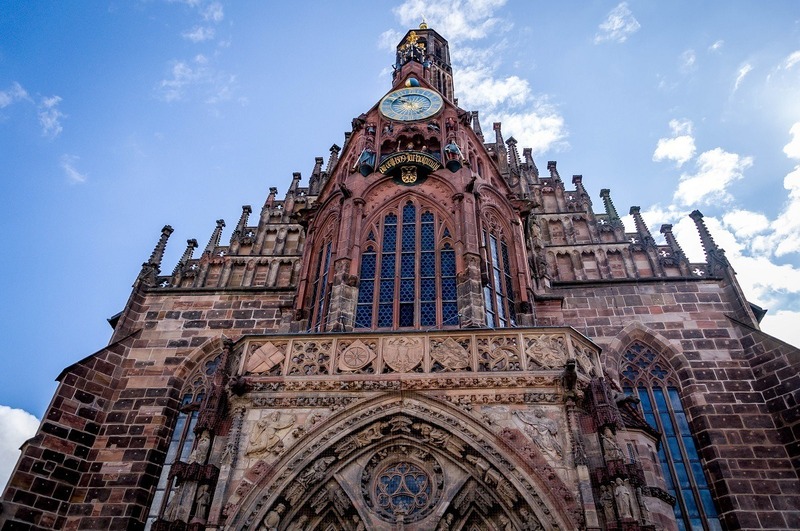 The city is extremely photogenic, so I can’t resist sharing some of my favorite Nuremberg photos. Nuremberg is Germany’s 14th largest city. It’s actually the second largest city in Bavaria behind Munich. But the locals will all tell you that they are Franconian. 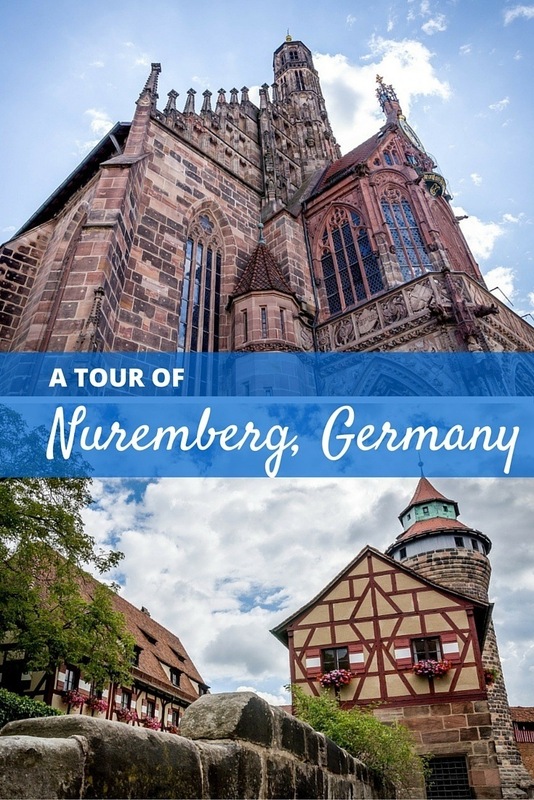 Naturally, that makes Nuremberg the largest city in this land of Franconia. 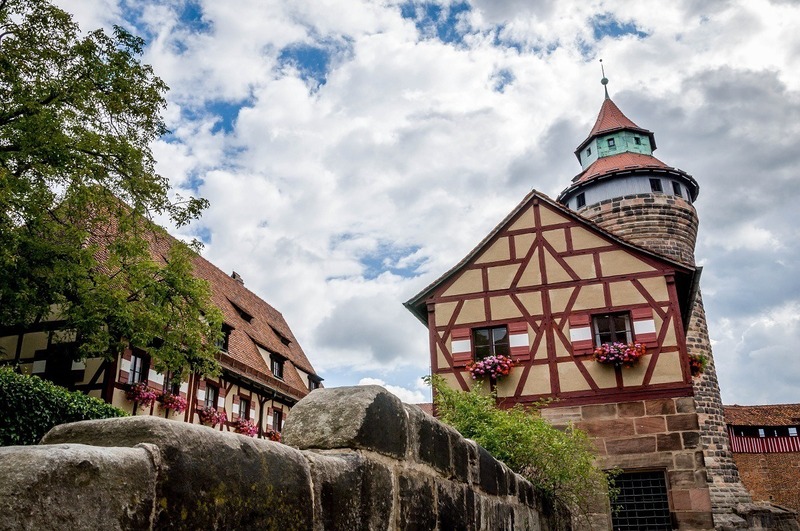 I’ve visited Nuremberg over a dozen times – about half in summer and half in winter. Each visit starts the same way: leaving the train station and walking down Koenigstrasse (the King’s Way). 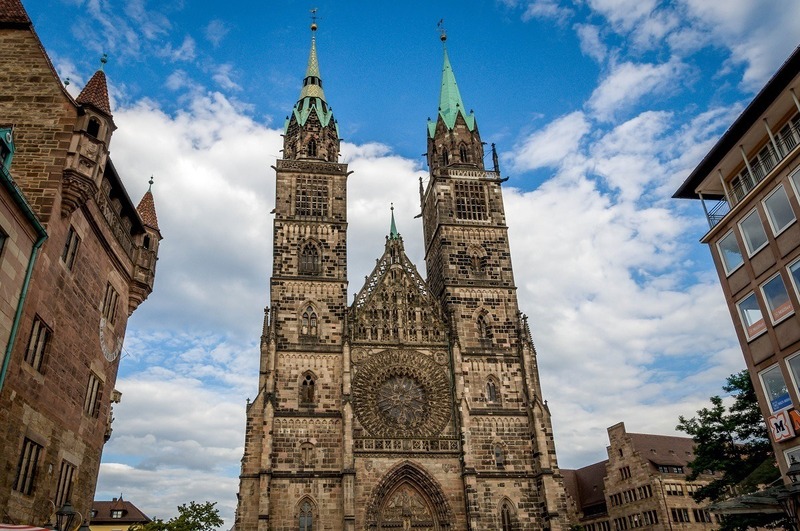 During the Middle Ages, the medieval walled city of Nuremberg was the capital of the Empire. Passing into the walled city, on the left is the Handwerkerhof – a kind of recreated medieval village filled with artisans selling all manner of goods. This strictly made-for-tourists two-lane village is cute to walk through, but I’ve never actually shopped here. The massive stone Zeughaus was once the Imperial arsenal. Today, it serves as a local police precinct standing guard over the nearby shopping mall. I always find myself taking a pause in the square in front of St. Lorenz Church. This square is always filled with market stalls and dozens of locals milling about waiting for friends. 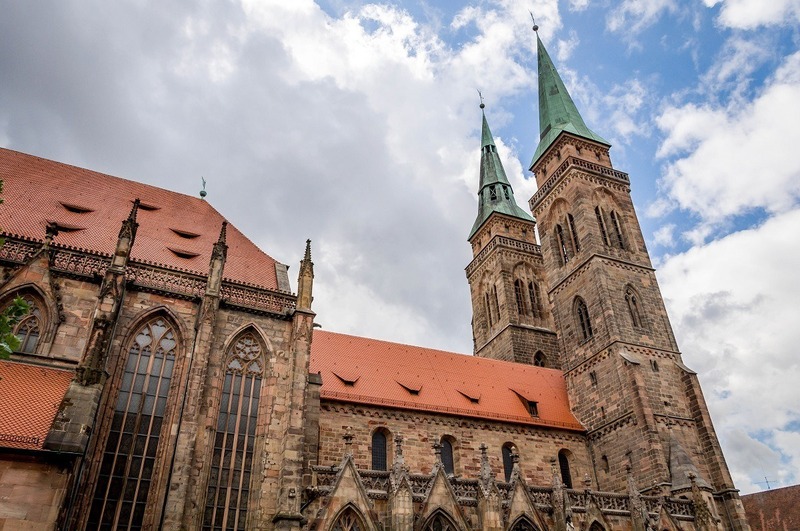 While other churches in Nuremberg draw the visitors, St. Lorenz towers over the daily life in Nuremberg. Crossing the bridge over the Pegnitz River, one of the city’s most photographed landmarks is on the right: the hospice. Yes, I said the hospice. 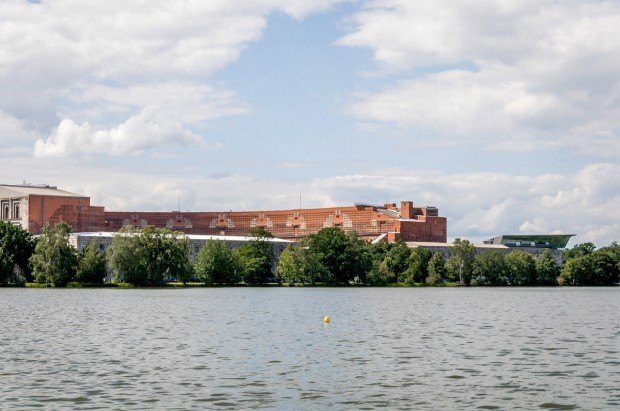 One of the most photographed buildings is a hospice and senior center which straddles half the river. Take my word for it, it’s worth a photo. 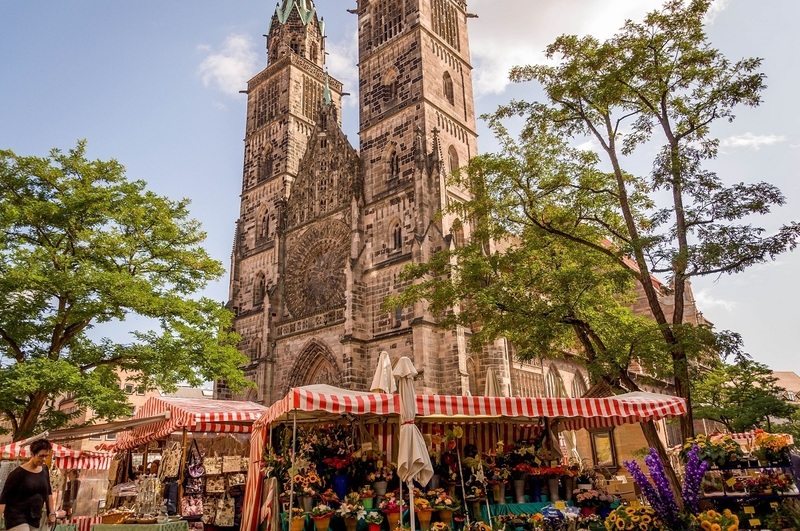 Of course the most famous church in Nuremberg is the Church of Our Lady (the Frauenkirche). From the balcony every December, a blond teenage girl opens the Nuremberg Christmas Markets for the year. 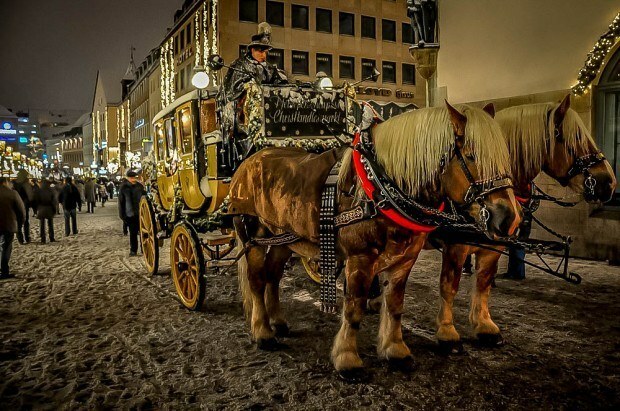 This spectacle is worth a very cold wintry visit to see Germany’s top Christkindlmarkt. Inevitably, I usually get hungry about this time. 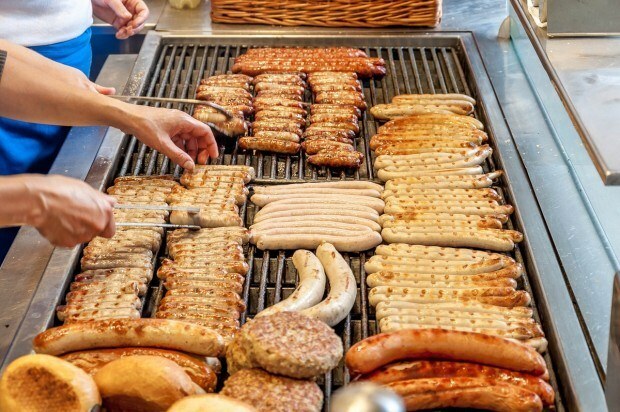 And there’s always a good bratwurst stand in the market square. The traditional bratwurst in Nuremberg is the Nuremberger: a small, breakfast-style sausage that is served three on a roll. The bratwurst powers my walk up the long hill into the castle district. I pass the underappreciated St. Lawrence Church on the left. 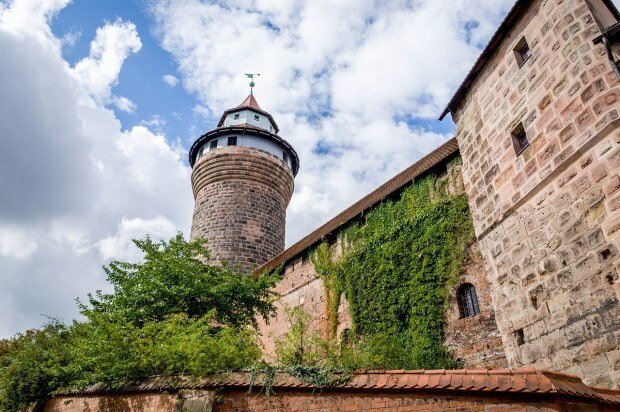 At the top of the hill stands Nuremberg’s iconic castle. The views from the beneath the round turret of the entire city are extremely impressive. 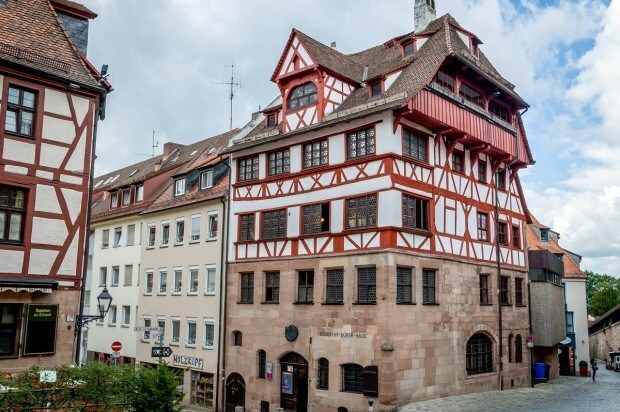 Just below the castle’s walls is the home of Nuremberg’s golden boy: Renaissance painter Albrecht Durer. 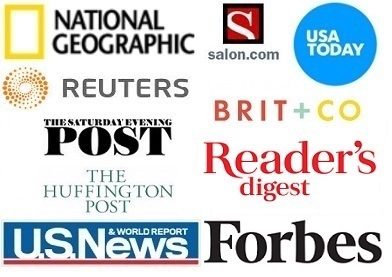 This isn’t to say that Nuremberg is only stuffy history. The city’s population is quite young. 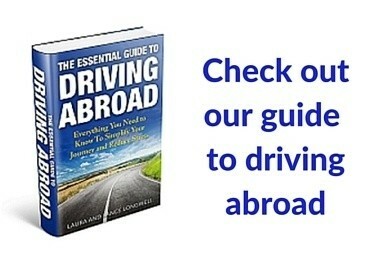 Many young Germans come to the area to study at University and end up staying. 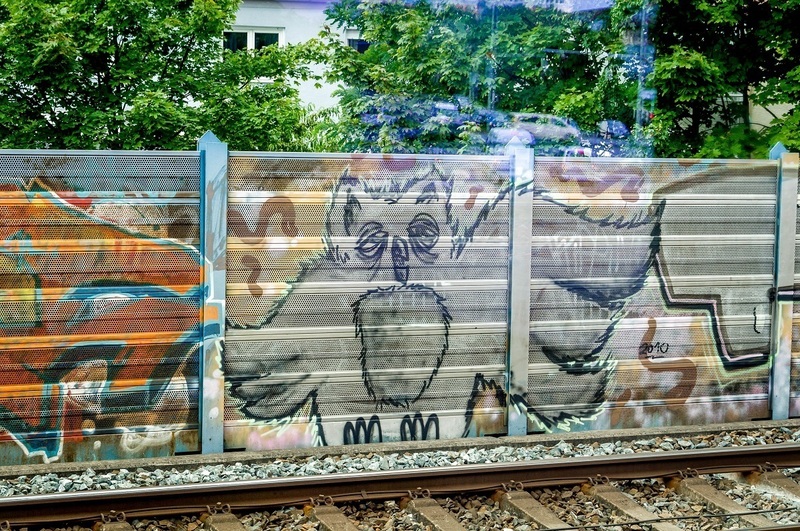 It can lead to some quirky moments of local expression. 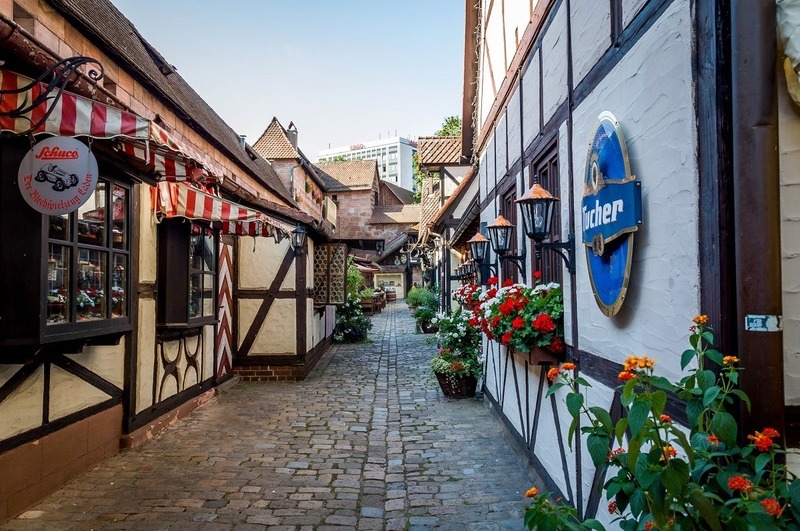 I’ve been to Nuremberg at every time of year. Since my first trip was in the middle of winter, in my mind I always picture the city as a winter destination. I find that Nuremberg in winter can be magical with the Christmas markets. The city’s spirit seems to come out in the snow and the cold. 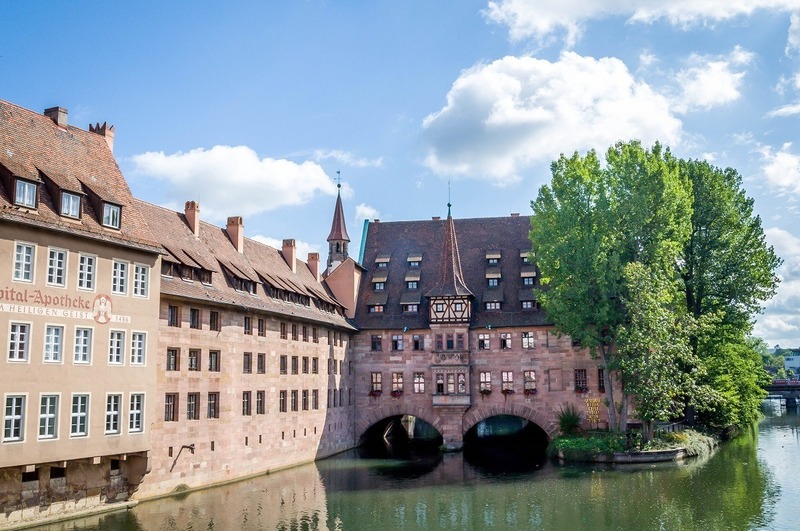 On that first visit to Nuremberg, I took a commuter train outside of the old city to visit the site of the former Nazi Party Rally Grounds. It was bitterly cold at the time. 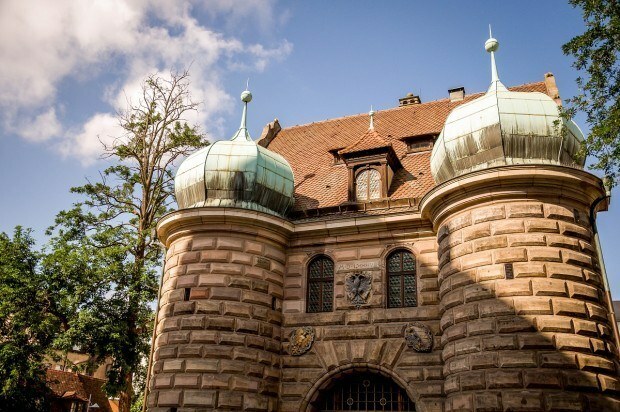 Nuremberg has preserved the area to document Nazi horrors. But life goes on. The rally grounds now host sporting events, ducks on the lake and families out taking long walks. 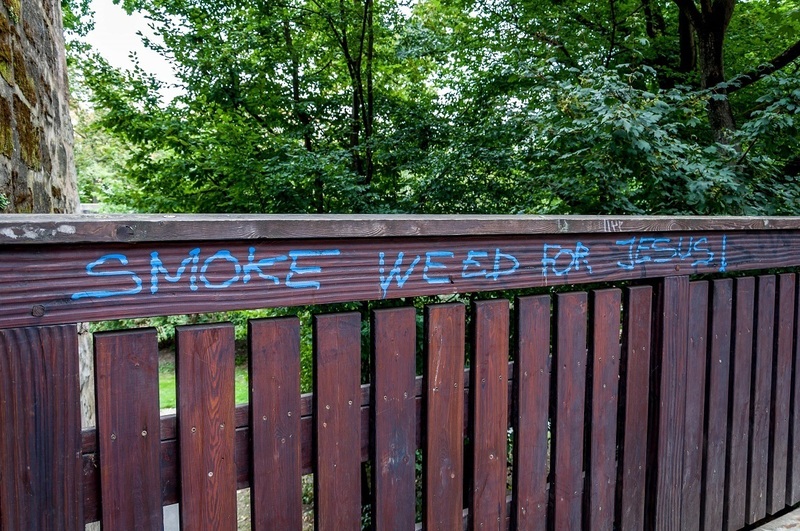 In summer, the parks fill with people enjoying the Franconian summer. Coming back from the Nazi Rally Grounds, Nuremberg’s youthful personality is on display. There is some great street art on the side of the tracks. These are just a few of my favorite Nuremberg photos. What do you think about 15 Inspiring Photos of Nuremberg?